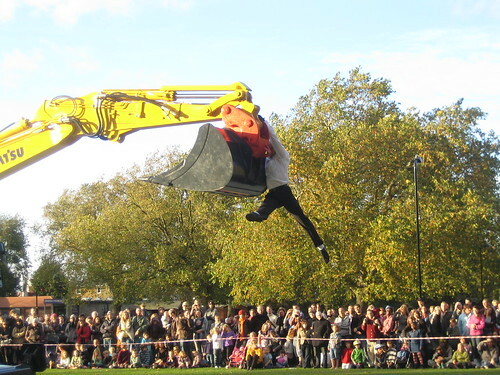 I went to see Transports Exceptionnels in London Fields yesterday. It was a duet between man and digger. Speaking of London Fields, I noticed the Keith Talent gallery for the first time last week. It isn’t actually in London Fields but Bethnal Green is a damn sight closer than Kings Cross. Edit: The Guardian has some footage of the piece.